25 Members in 25 Days! It’s December! To celebrate the holiday season, we are kicking off an initiative to sign up 25 members in 25 days! If you’ve been on the fence about joining, why not sign up now? 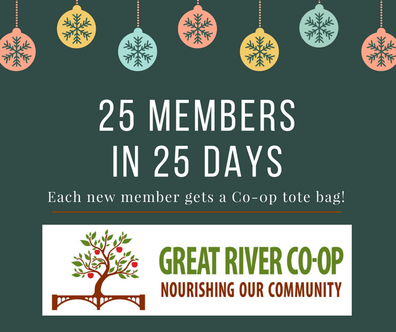 And, we’re offering a Great River Co-op tote bag to anyone who signs up in this 25 day challenge! If you’re already a member, please consider gifting a share to a family member or friend! 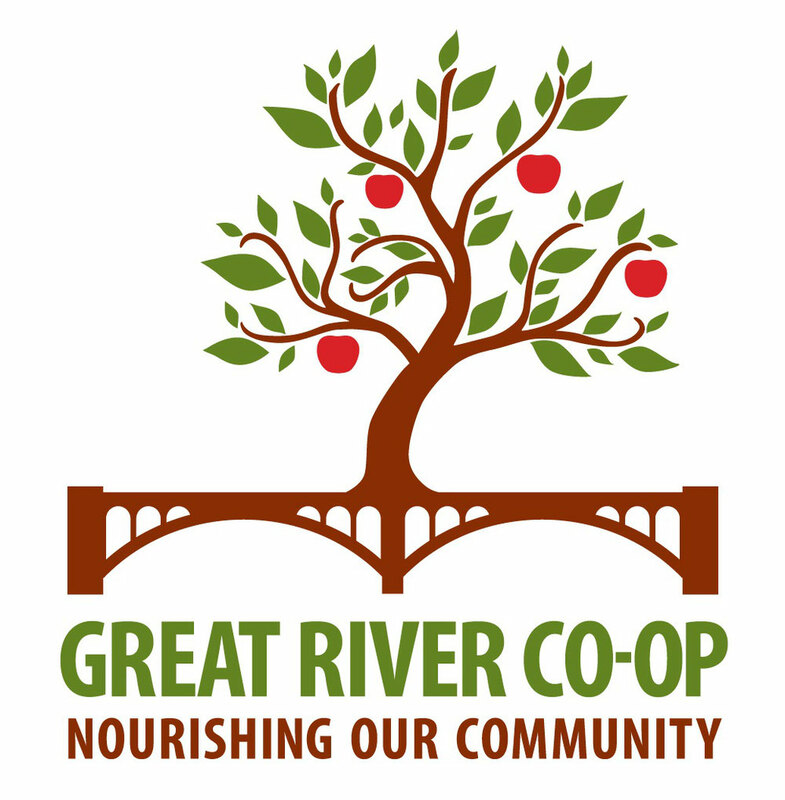 It’s a unique gift that supports a local cause and area growers! A single share is $25, and if you buy four shares at $100-you are a voting member! This means you will have a say in what the store looks like, what we carry and more!